When you create content for your website, it is important to periodically assess how well that content is performing and whether improvements can be made. A content audit is an effective way of managing and measuring your content and its performance and the information you glean from the study can provide direction and motivation to move forwards with your content marketing campaign. The types of content that attract site visitors. Isn’t a content audit a huge, boring task? If you’re not a fan of spreadsheets and numbers, a content audit might not be your favourite job to undertake. However, the benefits it can provide are far-reaching and, for a few hours’ work, it is well worth the effort. To really make it feel worthwhile, start by identifying your own reasons for conducting a content audit. What, precisely, do you want to learn? By establishing goals, you will be more motivated to complete the task. Demonstrate where you can improve on-site SEO? Identify areas where content is thin or low-quality? Give you opportunities to improve old content that is performing well in search engines? Get ideas for new content, as you analyse the older blog posts and pages? The following steps will take you through a content audit for your website. The first stage of a successful content audit is to create an inventory of all your existing content. Open an Excel or Google Drive spreadsheet and create columns for the details you want to record. You will list each page of your site on its own row of the spreadsheet. To get a list of every webpage is not as onerous a task as it might initially seem. You will be examining each page individually to complete the audit anyway, and there are tools that can help. Screaming Frog’s SEO Spider, for example, is a free, downloadable tool that produces a list of every page on a website that is linked to from the homepage or sitemap. 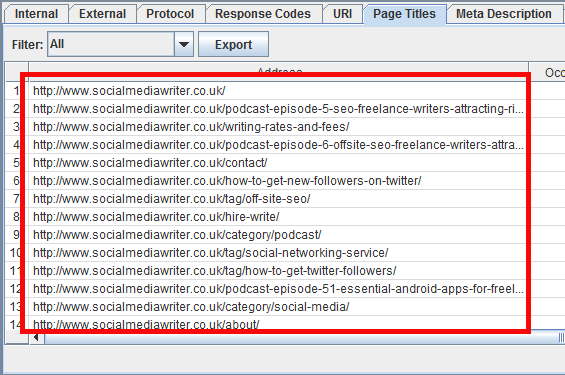 SEO Spider’s results can be easily exported and copied into the URL column of your spreadsheet. You can also export the page titles, descriptions, image alt tags, and more. You will fill out the rest of the information you need as you carry out the audit. Now you have the bare bones of the information you need in your spreadsheet, it is time to start auditing your content. If you identify a change that needs to be made, you can either do it immediately, colour code the relevant cells in the spreadsheet, or make a note in your ‘Changes needed’ spreadsheet column to do it in the future. To use colour coding, choose a colour that would signify high quality and another to signify poor quality. This helps you to see, at a glance, where work is needed. Does your page title accurately correspond to the content of your page? Is it under 65 characters long? Does it contain relevant keywords? If you use the WordPress; Yoast WordPress SEO plugin makes it easy to see – and update – your page’s description. Edit the page or post and scroll down to the SEO plugin’s interface to check that your description suits the content and fits the recommended word limit. If you’re not using WordPress or a similar CMS, you may need to do this manually page by page. Check the length of the content and mark it in your spreadsheet. If a page contains fewer than 300 words, make a note to improve and expand upon this content. Give each page’s content a mark out of five for quality. Is it well written? Does it have spelling or grammatical errors? Does it have a suitable image? Is the text broken down into paragraphs? Are keywords stuffed into the text in an unnatural way? Also ask yourself whether the information on each page is still relevant. Outdated advice or promotions for products or services you no longer sell could be deleted or adapted to update them. Make a note in the ‘Changes Needed’ column if a page needs work, or use colour coding in the ‘Content quality’ cells. Next, open your Google Analytics account and find the stats you want to measure for each page. How much monthly traffic does your webpage get? What is its bounce rate? How long do visitors stay on that page? Transfer all of this information into your Content Audit spreadsheet. If you have conversion tracking set up, make a note of your conversion rates, too. You might find it useful to use colour coding in your spreadsheet to highlight which pages are performing well and which could be improved. Those with high traffic and low bounce rates could be marked in green, while those with minimal traffic and high bounce rates could be marked in red. Moz has its own proprietary ranking system for websites which, although not infallible, is a helpful way of gauging the success of a website and its pages. Install the free Moz Toolbar and then, every time you visit a website, a strip at the top of the page will display SEO information about the page you are looking at. 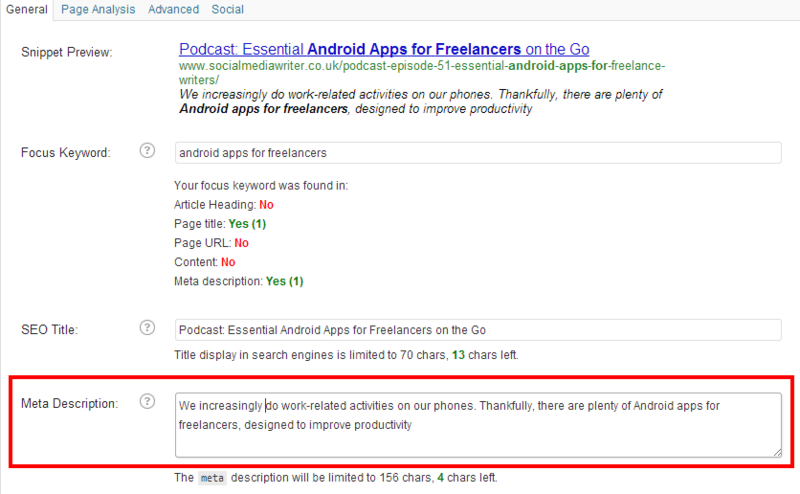 Look at the Page Authority number and mark it in your spreadsheet. The higher the number, the more authority a webpage has, so record each page’s authority in your spreadsheet. Now for some basic on-page SEO duties. Think of it as a little spring cleaning. You can always improve and optimise! 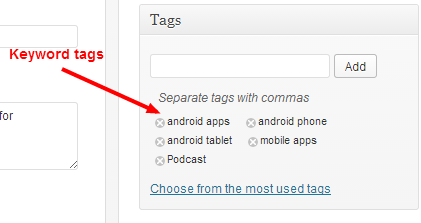 On each page you examine, look at any blog post tags you specified. Transfer these keywords to your spreadsheet and consider adding others that are relevant, or removing any that no longer seem suitable. Ideally, you will have links on every page of your site that link to other, related pages. With older web content in particular, it is quite possible that you will find opportunities to add links to more recent content. If you are looking at an image page, make sure you have entered a text description of the image so that it is indexable by search-engine spiders. Make a note of your text descriptions in your spreadsheet. The Yoast SEO plugin for WordPress shows a traffic-light score for the optimisation of each page. If you find that the page you are looking at is marked red or amber, make a note of this on your spreadsheet or fix the problems it has identified straight away. You can also dig a little deeper into each page where the plugin will give you particular tips as to areas you can improve. So, your next step is to find the pages with low word counts and increase the value of the content, sort out the simple SEO errors you may have been making, add suitable internal links where appropriate, arrange social media campaigns to promote high-quality content that is not getting many visitors, and so on. The work you have done provides a real opportunity to give your content a boost. Don’t ignore your findings; act on them and improve your website for the better. If you have any questions about your content audit, or have some of your own tips to share, please leave a comment below. Thanks!